Classic Italian food with modern, Mediterranean-inspired innovations! Vespaio, the latest culinary venture by Chef Agostino Sciandri of AGO on Melrose, offers a classic Italian menu with modern, Mediterranean-inspired innovations. 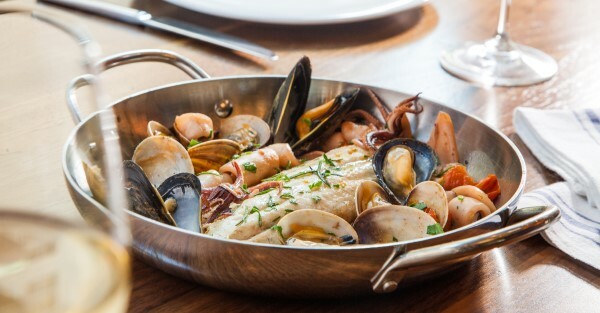 Enjoy fresh homemade pastas and authentic Tuscan seafood alongside handcrafted specially cocktails and Italian wines. Inside, you’ll enjoy views of our open kitchen, Illy coffee, and our classically elegant bar area. On our terrace you’ll find yourself weather-protected and fireplace adjacent with views of The Broad and the MOCA. Vespaio is located 225 S. Grand Av.,a few blocks away from the Metro Red/Purple Line (Civic Center Station). For your best route, use the Trip Planner.